Bereavement Hypnosis or help for the loss of a loved one can be useful during one of the most dificult live events to handle. You may experience guilt, regret or just the sense of loss. You may find yourself welling up with emotion at odd times. Sometimes the smallest connection to your loved one can bring tears and an overhwhelming sense of loss. Time, of course, is a great healer but sometimes our ability to cope and get on with our lives needs some extra support. This bereavement hypnosis recording helps you cope with the loss of a loved one. 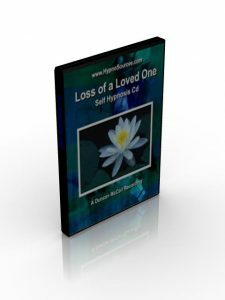 This unique mp3 hypnosis download or self hypnosis cd helps will help you with your bereavement.